Northern Thailand - where nature and culture live side by side. Visit Northern Thailand. where nature and culture live side by side. When talking about Thailand, the first few things that come to most people’s mind are temples, beaches and food, and the first few places would be Phuket, Bangkok and Koh Samui, all easily available for your holidays from Belfast and Dublin. But the fact is that Thailand has much more on offer. The Northern region of Thailand has still been underrated and relatively untouched, and differs considerably from other parts of Thailand, both geographically and culturally. In term of geography, the region features an extensive range of mountains, with valleys, caves, rivers and waterfalls. The north also borders Laos, and many travellers head to Chiang Khong in order to cross the border on a boat trip down the Mekong River to Luang Prabang in Laos. 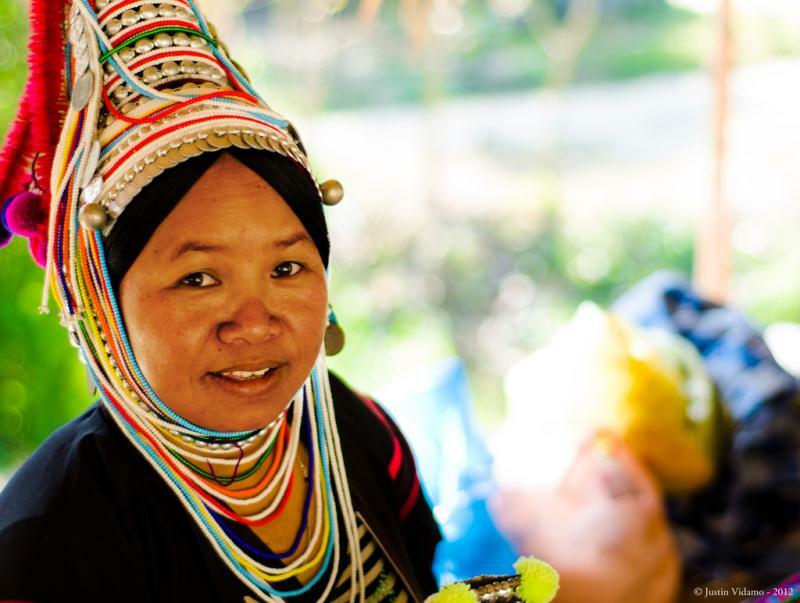 Culturally, Northern Thailand is unique too, with influences from China, Laos, Myanmar and many hill tribes i.e. the Akha, Karen, Lisu, Hmong and Yao. Let’s take a few minutes to learn a little more about the most popular cities in Northern Thailand and why they’re the ideal destination for nature enthusiasts and culture vultures. As Thailand’s second largest city after Bangkok, Chiang Mai features luscious natural scenery, cultural treasures and variety of attractions. Its diverse ethnic communities showcase a wide variety of cuisines, architecture, festivals and classical dances that are exclusive to northern Thailand, as well as its history. Visitors can explore Chiang Mai’s rich nature through a unique hill tribe trekking experience, river rafting or zip lining. Nature and adventure lovers should visit one of the many national parks including Thailand’s highest peak, Doi Inthanon and Doi Suthep – Doi Pui. For those who want to look deeper into Thai culture and handicrafts, there are workshops on the production of Thai silk, silver and hand-crafted goods. Ban Tawai and Wualai Street have a fascinating range of handicraft demonstrations and goods. Among the many must-visit local sights is Wat Prathat Doi Suthep – the most important Buddhist temple in Thailand’s north. For those who love shopping and tasting local food, Warorot Market is the best place. Popular shopping spots among tourists are Night Bazaar (opens daily from evening till late) and Sunday Night Market on Ratchadamnoen Road and off streets inside the old city walls. Situated about 440 km north of Bangkok, Sukhothai is Thailand’s former capitol before Ayutthaya and Bangkok and is home to two grand historical and cultural sites which have been listed as UNESCO World Heritage Sites: i.e. Sukhothai Historical Park and Si Satchanalai Historical Park. For an unforgettable experience, visit Sukhothai on Loi Krathong Day. Loi Krathong is celebrated every year on the full moon of November. During the festival, people make Krathongs or a buoyant, decorated flower shaped baskets, which are then floated on a river to pay respect to the goddess of the river. There will be a lot of fireworks and cultural performance at temples and venues along the rivers. Chiang Rai is situated about 800km north of Bangkok or 200 kilometres northeast of Chiang Mai. It features stunning natural beauty, breathtaking landscapes and remote hill tribe villages. Among the many iconic landmarks is the Golden Triangle i.e. where Thailand, Laos and Myanmar share the border. Another famous attraction is the White Temple or Wat Rong Khun. This is probably Thailand’s most unique temple, with the exterior all white, decorated with sculptures and mural paintings of gods and demons from epics, idols such as Michael Jackson, super heroes such as Spiderman and famous manga characters, such as Doraemon. For visitors looking for a laid-back atmosphere, Doi Tung is worth a visit, with spectacular views of both Burma and Thailand from its peak. This is home to Doi Tung Royal Villa, a former residence of the mother of the present king. She has always been very well-respected by the locals as she fought against the opium cultivation in the area and instead promoted the cultivation of cool climate crops, eco-tourism and handicrafts production, which have improved the living of these hill tribes. For elephant lovers, visit Golden Triangle Elephant Foundation (within the compound of Anantara Golden Triangle). The elephant camp is in a resort rich in wild plants and natural water sources, which makes it an ideal habitat for elephants. The elephants are domesticated and trained to be with humans. The resort set up an elephant camp, the first of its kind in Thailand, as part of an effort to help ease the problem of elephants roaming city streets. About 260 km northwest of Chiang Mai and bordering Myanmar lies Mae Hong Son, known as the city in the fog. Surrounded by stunning landscapes and river systems, Mae Hong Son is ideal for ecotourism and nature lovers. The small village of Pai in the northeast of Mae Hong Son, which used to be a popular destination among backpackers, now has luxury accommodations on offer too. However it still maintains its charm and tranquillity, probably because of its remote location. we can help ypu to plan your next exciting holiday from belfast or Dublin so why not make it Thailand. Other natural attractions worth visiting include Pang Oung, a beautiful lake, and Tham Lot Cave, a cave with a river characterised by stunning rock formations. In terms of cultural attractions, the twin Burmese-style temples of Wat Chong Kham and Wat Chong Klang overlooking Nong Kham lake are definite must-sees.